Under development – translation job notification app! 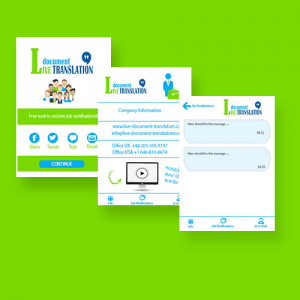 If you have an iPhone and you’d like to receive our job notifications on your mobile device, please download our translation job notification app. Using it, you’ll be able to accept jobs from anywhere, anytime! With our translation job notification app for Android you have the freedom to work from anywhere you want. Our app will instantly notify you when there is a new job awaiting for you! We’re created our own notification app in order to notify our trans-interpreters of any new translation job that matches their expertise. And it’s completely free to download! With us, it is imperative that you receive instant job notifications whenever a client adds a new translation request. We already send you notifications by email, but that’s not going to be enough. This is why we have decided to create our own translation job notification app which is free to download. We have a version for iPhone and another one for Android based smartphones. Both have been fully tested and are working great. Stay connected with us at anytime and you will be able to receive and respond to job notifications faster than ever. The first trans-interpreter that clicks the accept button gets the job, therefore you’ll be in permanent competition with your colleagues. That is why you need to receive job notifications as fast as possible. Our translation job notification app solves this problem. 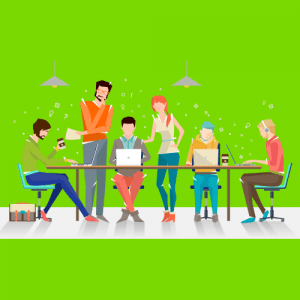 By using it, you’ll be able to remain connected even though you’re on the road, or anywhere else where email access may be a problem, and you’ll be able to accept a job the moment it appears! The app is really easy to install and even easier to use. It is the best way to stay connected with our notification system, and it will allow you to accept any job matching your expertise in seconds!